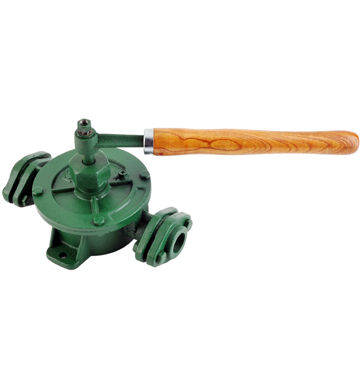 The Ultraflow Cast Iron Rotary Hand Fuel Pump is an economical and simple solution for the manual dispensing of diesel and oil primarily from a drum, but also from other types of storage tanks. These rotary vane type hand fuel transfer pumps are a popular choice for transferring fuel when cost effectiveness is important, when only small quantities need to be dispensed at a time, or when no mains power is easily available. This manual diesel transfer pump is supplied with a 2” M BSP drum adaptor and three part rigid suction downtube.